Register below for VAST Summer Camp! 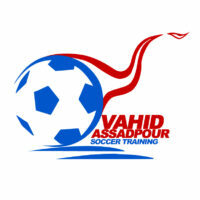 Payment via cash or check payable to 'Vahid Assadpour Soccer Training' will be collected at the first day of camp. In addition to footwork drills, VAST Summer camp will include game situation drills, passing progressions, shooting and speed/agility. There will also be scrimmaging every day of camp. Lunch and T-shirt will be provided. Check out our VAST training options.